We joined a two-day tour from Edinburgh to Inverness. 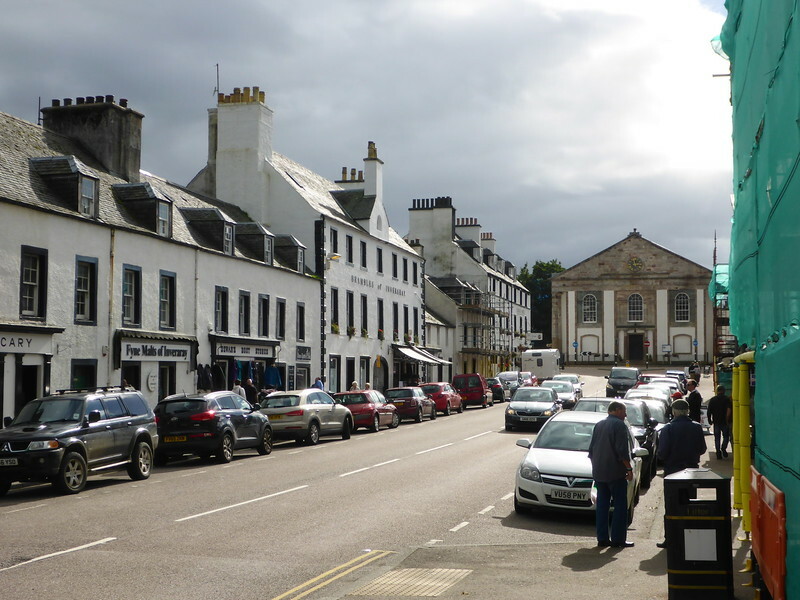 On the first day we made stops in Glasgow, the village of Luss on Loch Lomond, Fyne Ales brewery, Inveraray, the Crinan Canal, and Oban, where we stayed overnight. The second day we drove to Glencoe and the Glencoe visitor centre. Following lunch in Fort Williams, we visited Neptune's Stair Case, a series of 8 lift locks on the Caledonian Canal in Banavie near Fort Williams. Next we went up Aonach Mor, in the Nevis Range, in Britain's only mountain gondolas. The views were great. We then drove along Loch Ness to Inverness.